“A business model describes the rationale of how an organization creates, delivers, and captures value, in economic, social, cultural or other contexts. The process of business model construction is part of business strategy. You need develop a business model? It’s very easy! All what you need is a powerful Business Process Diagram software. Never before creation of Business Models wasn’t so easy as now with Business Process Diagram Solution for ConceptDraw Solution Park. 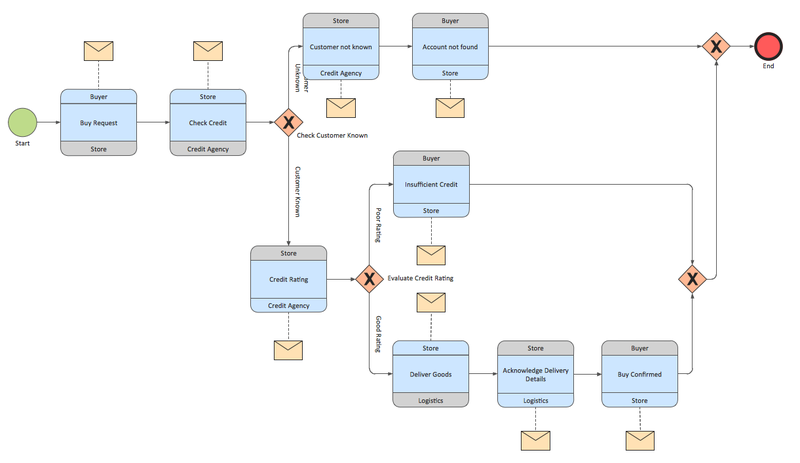 Another way of representing the business models in ConceptDraw DIAGRAM is to use as the base the predesigned template or sample from ConceptDraw STORE. You can choose any desired sample or template from the offered which meets your requirements and change it for your needs, or simply use it as the source of inspiration. The samples you see on this page were created in ConceptDraw DIAGRAM using the tools of Business Process Diagram Solution from the Business Processes Area. They successfully demonstrate solution's capabilities and professional results you can achieve using it. An experienced user spent 10 minutes creating each of these samples. 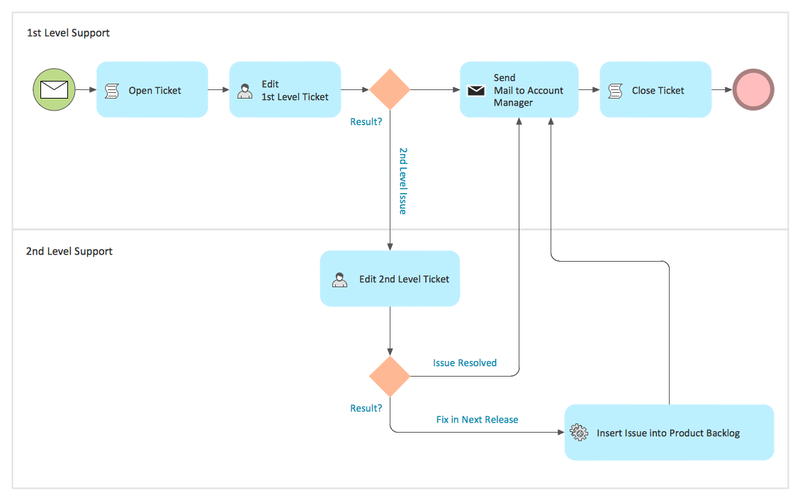 Use the Business Process Diagram Solution for ConceptDraw DIAGRAM software to develop professional business models quick, easy and effective, and then successfully use them in your work activity.